Conditions of Mediation will be hosted at Birkbeck, University of London. Established in 1823 as an early pioneer of adult education, Birkbeck today combines evening education with globally recognised researchers and research centres, such as the Birkbeck Institute for the Humanities. Media and cultural studies is well represented at Birkbeck, in departments such as Media and Cultural Studies, History of Art and Screen Media and English and Humanities. The Birkbeck campus is based in Bloomsbury, the intellectual heart of London and home to several of the University of London’s constituent colleges, and just three tube stops away from the Hilton London Metropole (the ICA conference hotel). 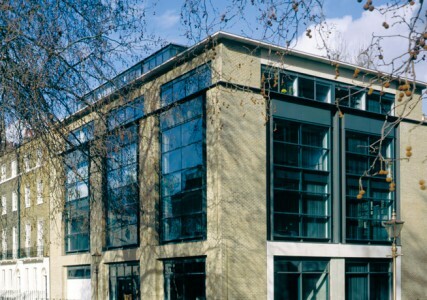 The preconference will be held within the Clore Management Centre at Birkbeck (pictured above). Signage will guide arriving delegates to the main reception area for the event. The below map gives an overview of the area in which the Clore Management Centre is situated. Nearby tube stations include Euston, Euston Square, Russell Square and Goodge Street.